A twist on regular pasta, Ricotta Gnocchi is an easy and delicious meal best served with your favorite pasta sauce or garlic butter. Mix together ricotta, parmesan, and beaten eggs in a large mixing bowl. Slowly add 2 cups of whole wheat flour, stirring together. If dough does not clump into a ball, add more flour slowly until it does. You want the dough to hold its shape while still being sticky. Turn dough out onto floured surface. Make a baseball-sized ball from some of the dough and roll it into a log on a floured surface about as thick as your thumb. Using a sharp knife, slice the log into pieces about as wide as they are thick. Continue to form the gnocchi, placing them onto a parchment lined baking sheet as you go. Flash freeze the gnocchi. Drop gnocchi in pot of boiling water. Stir gently to prevent them from sticking together, then cook for two to four minutes. Melt butter in a saucepan over medium-low heat; cook onion for about 1 minute, or until wilted. 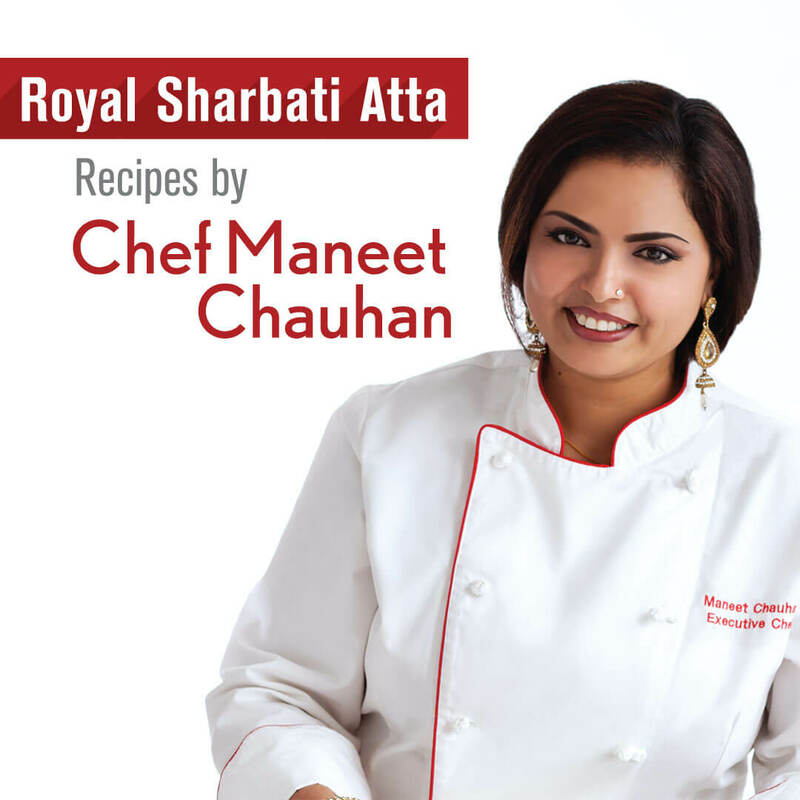 Add the Royal Sharbati Atta, stirring until well blended. Cook, stirring, for 2 minutes. Stir in the salt and pepper. Gradually stir in the vegetable or chicken broth and cream. Continue cooking over low heat, stirring constantly, until smooth and thickened. Continue cooking, stirring frequently, for 5 minutes longer. Stir in the cheeses and continue cooking and stirring until melted. Make the topping by tossing the panko with the melted butter in a medium bowl. Mix in the cheese and set aside.